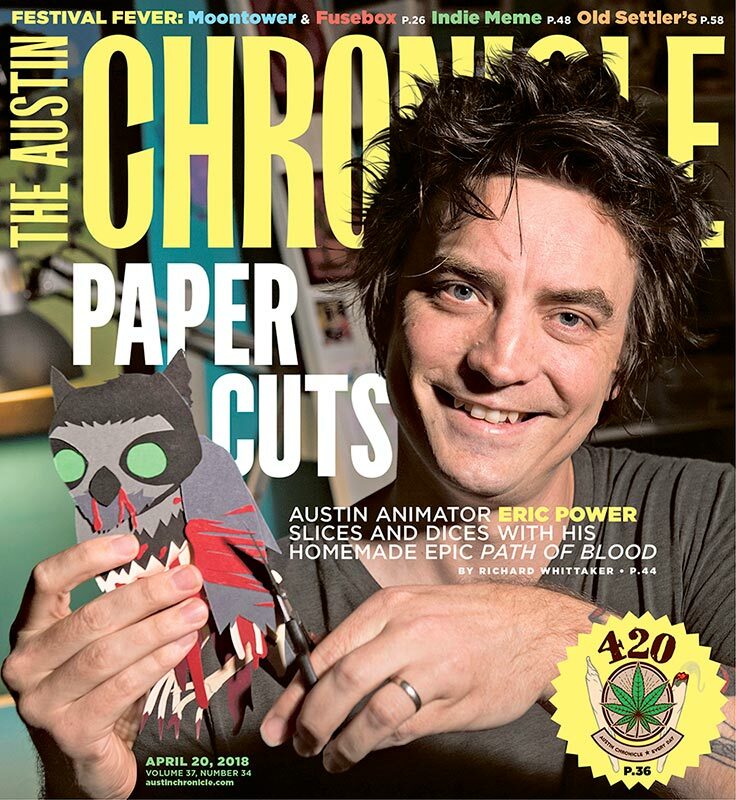 I was recently visited by the Austin Chronicle to talk Path of Blood and my career as an independent animator. It was a great experience and I was shocked to see that the story ended up making the cover! Needless to say I am over the moon. It feels great to get local love from the good folks at the Chronicle in this beautiful city of Austin Texas. jeremy messersmith - Monday, You're Not So Bad from Eric Power on Vimeo. Jeremy approached me with this really neat idea for a video back in fall of 2016. He let me run wild with it and the result is this colorful romp through the end of days, which happens to fall on a Monday. I worked on this video in November of 2016. The events of the world inspired much of it. It is just one of many amazing songs, so I urge you to head over to his site and dive in.